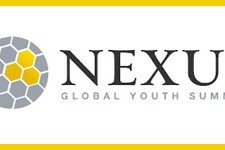 Nexus is a global movement of 3000+ young people from over 70 countries working to increase and improve philanthropy and impact investing by bridging communities of wealth and social entrepreneurship. The Nexus Youth Summit hosts regional and global conferences and brings together young wealth-holders, social entrepreneurs, philanthropists, and young people involved in movements and campaigns. The summit aims to build a strong community amongst 'next generation leaders' and support young people's philanthropy and social investment. The 5th annual Nexus Global Youth Summit on Innovative Philanthropy and Social Entrepreneurship will convene in New York City on 22-25 July, 2015. When the application process is open, interested participants can apply online via this website. A selection and nomination process ensures that only qualified people attended. The organisers aim for summits to be offered at a low cost or free of charge. Regional Summits are expected to take place in: Brazil; India; Mexico; Middle East & North Africa; Russia.